The British Broadcasting Corporation has pledged to "enhance" its portrayal of religion in documentaries and drama series and its knowledge of religion in its news reporting. BBC on Wednesday released a religion and ethics review that found that the government-funded network should do more to incorporate the religious aspect of life into its programing. According to BBC News, the review recommended that the programing should introduce faith-related story lines into popular dramas and also incorporate a better understanding of religion in its news reporting. The review also suggested that the corporation begin incorporating more non-Christian faiths into its programming. Although the review calls for the program to focus on more non-Christian religions, BBC presenter Roger Bolton, who was consulted during the review, told Premier that Christianity will probably still have a "predominant position" in programming. "If you have everyone paying for the license fee, then you have the responsibility to everybody no matter what their faith background is," Bolton suggested. "But on the other hand, the majority of people of faith in this country are Christian. You cannot understand this country, our laws, our culture, art, music, anything about it really unless you understand the role Christianity has played, so I would always expect Christianity to have a predominant position. But it would be wrong for the BBC to take money from everybody to say, 'We are going to proselytize on behalf of one particular faith. That is not possible anymore." According to BBC News, the network plans to create a religious affairs team. BBC will also maintain its Thought For the Day segment on Radio 4's "Today" program. The daily segment features religious leaders giving their thoughts on current issues facing the nation. 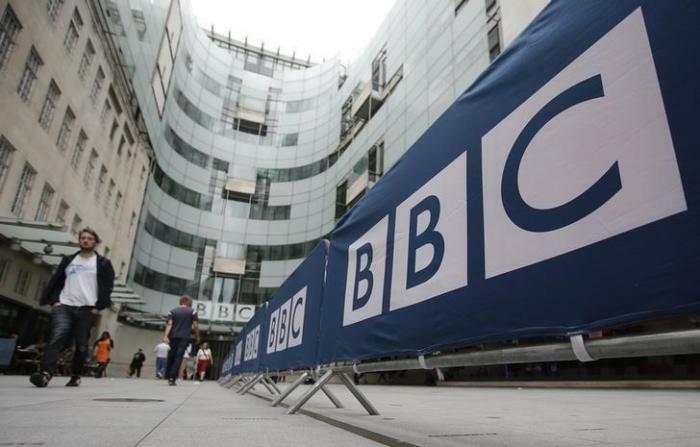 BBC already has several plans in place to address the findings of the review. BBC News will also broaden the range of interviewees and contributors to represent a wider range of opinions and practices." BBC Director General Tony Hall was quoted as saying that the audience wants to learn more about religion. "They recognise that, if we truly want to make sense of the world, we need to understand the systems of belief that underpin it," Hall said. BBC's news was welcomed by a number of faith leaders within the United Kingdom. "We welcome the collaborative, open-hearted way in which the BBC has engaged with leaders from the different churches and faith communities as well as broader society to inform their perspective," Graham James, the bishop of Norwich and the the Church of England's lead bishop for media matters, said, according to the Anglican weekly Church Times. "We look forward to seeing how [the BBC's] commitment to first-class coverage of religious affairs develops in its sophistication and scope in the months and years ahead." According to The Guardian, the report was also praised by the Board of Deputies of British Jews and a professor of Islamic studies at Edinburgh University, Mona Siddiqui. However, the reports come at the "dismay" of secularists in the U.K., such as those at the charity Humanists UK. "Humanists UK fed into the review, meeting several times with relevant officials, and has expressed its dismay at the outcome, which proposes more coverage of religion without anything approaching equal coverage of humanist beliefs," the organization stated on its webpage.